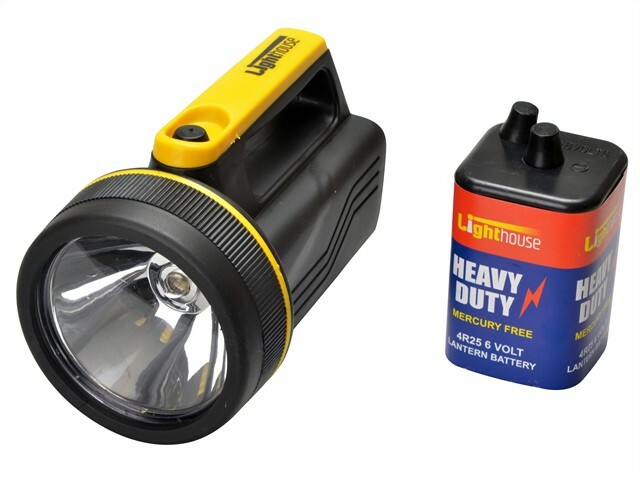 The lighthouse HT996 is a handy high-power Krypton spotlight with 60 Lumens and a tough ABS casing that is both water and impact resistant. Fitted with a high power Krypton bulb and complete with a heavy-duty 6 volt battery, this spotlight is ready for use in seconds. The handy 6 volt spotlight offers a low cost, one stop option and is the perfect choice where several spotlights are required. It is extremely useful in many situations. Dimensions: 182 x 125 x 112mm.